Fresh Collective DESIGNER CALL! Amazing opportunity to join FC for ‪#‎FCfreshstart‬. Fresh Collective is looking for one awesome emerging fashion designer to work with them over the last months of 2015. Are you talented and ambitious? Hard-working and driven? A smart business person and a creative designer? You might be the ONE they are looking for!! The Ultimate Holiday Dress Competition! The Ultimate Holiday Dress competition is an upcoming fashion design competition developed by Fresh Collective and Art of Fashion. The aim of both the competition and the organization is to aide emerging Canadian designers in showcasing their talents as well as equip them with the appropriate knowledge and tools to cultivate a successful career in the fashion industry. Art of Fashion will be collaborating with Fresh Collective to host this new and exciting competition. Fresh Collective is a local leader in innovative fashion retail in Toronto. With three Toronto boutiques and ten years of successful business, they will provide an insurmountable amount of valuable information for the competition's participating designers. Click on the here to learn more about this upcoming competition/download an application! 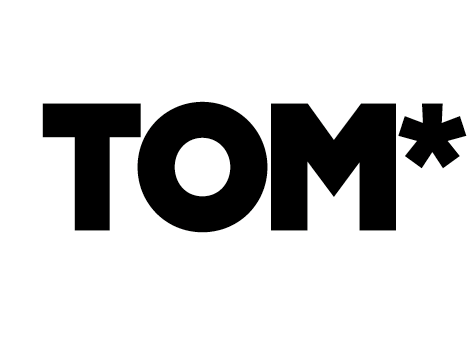 TOM* PRESENTS EMDA - EMERGING MENSWEAR DESIGNER AWARD, in partnership with TFI, with a Grand Prize of $10,000 CASH! Must be a Canadian-based emerging menswear designer to enter. 12 look collection, and a PDF version of their look book or portfolio. The “proposed“ 12 look collection should consist of fashion illustrations showing 12 looks on 12 figures. These should not be “impressionistic” illustrations, we need to see garment details, patterns and colours. TOM refers to a “look” as a complete runway outfit eg. shirt, pants and jacket (3pcs) in one “look”. Your application will be scored on visual presentation, style, communication of brand vision and marketability. TOM is not accepting applications by traditional mail. If you have a plan that will put your business on the path toward growth, you may be eligible to apply for the Young Entrepreneur Award. First prize is worth $100,000, second prize is worth $25,000. You will need to make a video submission of your plans and complete the online application. The 2014 award has already been prestended but you can sign up for their mailing list on their website so get updates about the upcoming 2015 competition. You may be eligible for a loan of up to $15,000 from Futurpreneur Canada. 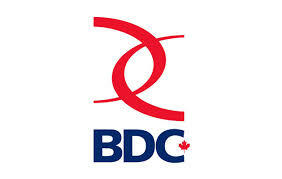 If you are approved for funding from Futurpreneur Canada, you may also be eligible for additional funding of up to $30,000 through a special partnership with the Business Development Bank of Canada (BDC). For more information or to apply for the loan, visit the Futurpreneur Canada website or call them to find the nearest office. Modeconnect International Fashion Writing Competition in partnership with The Woolmark Company, Polly King & Co and Laurence King Publishing. The competition offers aspiring fashion writers and journalists a unique opportunity to gain experience and exposure. It aims to promote “good” fashion writing, writing on fashion that is researched, reflective, insightful, critical, stylish and engaging. The competition is open to students and recent graduates worldwide born between May 1, 1986 and May 1, 1996, who write in English. For each of its two categories (18 to 21 and 22 to 27 year old), the first prize is a five weeks Writing Residency in London, UK, during which the winner will have the unique opportunity to collaborate with Modeconnect, attend major London fashion events and interview Holly Fulton or another designer, partner of The Woolmark Company, tbc. Studio accommodation in central London will be provided for the duration of the Residency.